Birds and Bees Resort is a hotel and resort located on the beach in Pattaya, Thailand. This photo was sent in by JD. 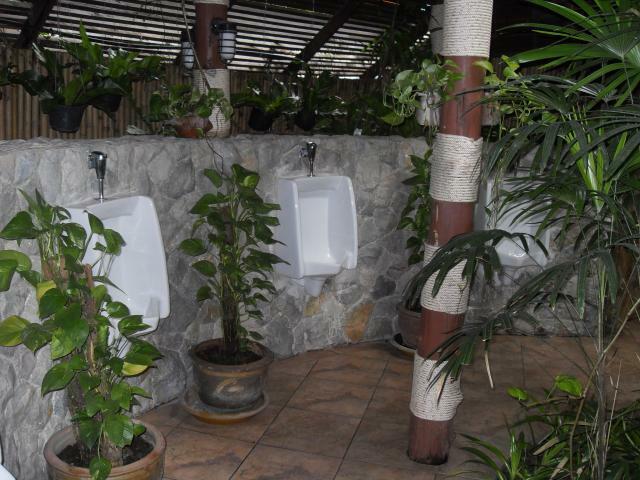 He writes: "Birds and Bees Resort in Pattaya, Thailand has urinals in a lush garden surrounding. The restaurant, "Cabbages and Condoms" is open to the public and you can check out the urinals when you wash your hands before eating. You did plan on washing your hands, right?"